A new boutique, Mood, has arrived in downtown Menomonie, offering women’s fashion celebrating women of all shapes, sizes, and ages. The venue features chic accessories, shoes, home décor, gifts, and a coffee bar. 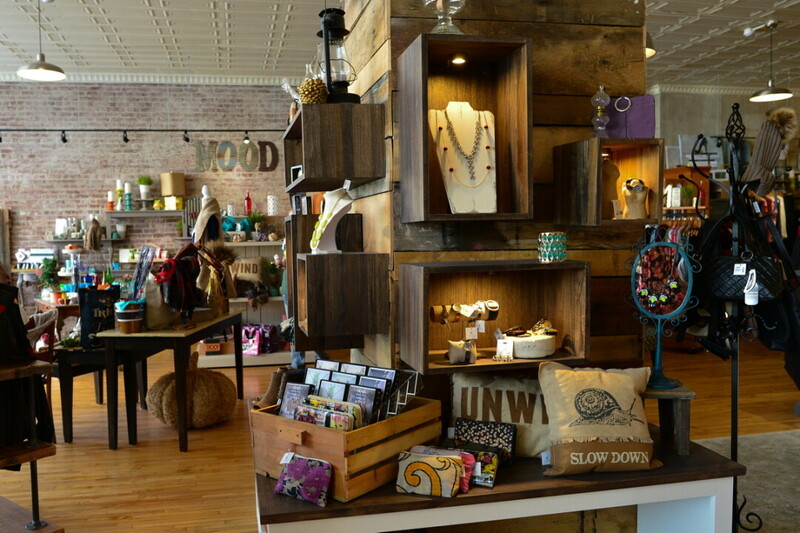 Located at 230 Main Street East in Menomonie, the store is housed in a spacious, historic building that has been restored by store owner Veronica Smith to some of its original splendor, adding to the experience of shopping and socializing at Mood. The store had a soft opening on September 1 and hosted its grand opening on October 19, 2017, just in time for Menomonie Main Street’s Witches Night Out downtown shopping event. Smith was inspired to open Mood after visiting several upscale boutiques in the area. She decided she would like to bring this experience to women in Menomonie. She chose the downtown location to be part of the progression and renovation taking place in downtown Menomonie. Smith put a lot of time and effort into lovingly restoring a historic building to hold her fashionable new store. As soon as she saw the space she saw potential and wanted to bring it back to its original splendor. Smith restored the original wood flooring, exposed the original tin ceiling, exposed brick on the walls and on the outside façade, and restored the original transom windows. The store has more than 2,000 square feet, allowing for spacious and comfortable fitting rooms and a space for customers to meet up for coffee and shop. Smith says she wants the store to be a place where all feel welcome to meet up with friends and have coffee or a refreshment and shop at their leisure. Stylists at the store are experienced and helpful, and strive to put together flattering and comfortable outfits for all customers. Smith hopes to inspire women to try on new items they will look and feel great in. The coffee bar opened September 22, and Smith hopes to continue to expand on its offerings to include snacks, pastries, and mocktails to compliment a fun girl’s day or night out of shopping. The future looks bright for Mood Boutique. Smith has a lot of big ideas for the boutique to on the current model. 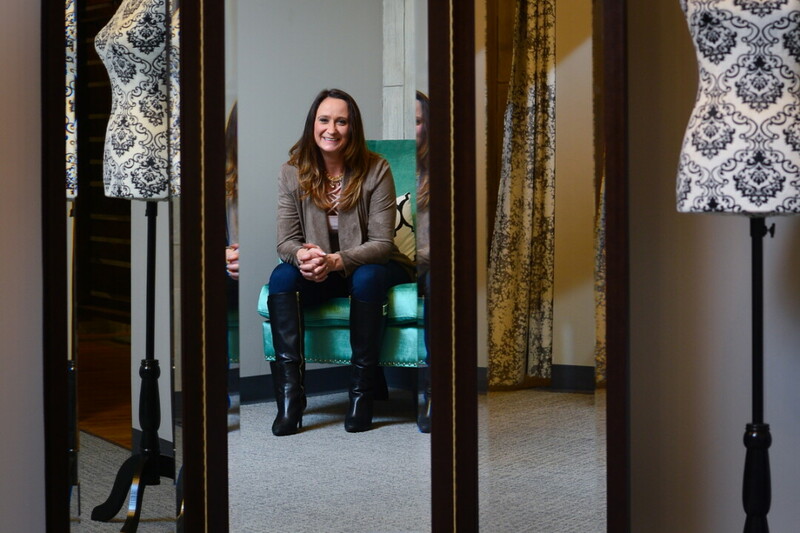 She hopes opening her store will inspire other small business owners to open stores in downtown Menomonie and add to the Renaissance taking place there and making downtown a true shopping destination. To learn more: facebook.com/MoodBoutique.Menomonie, or check out the store Monday through Friday from 10:00 a.m. to 7:00 p.m. and on Saturdays from 10:00 a.m. until 6:00 p.m.